It’s time to shoot for the stars. 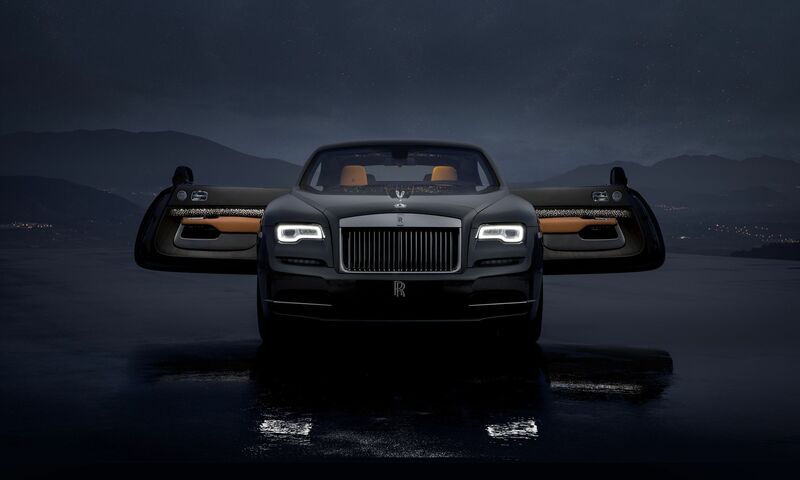 Rolls-Royce is lighting up bespoke motoring this month with its limited edition Wraith Luminary collection. With just 55 of these luxury models on offer, the latest Luminaries line debuts Rolls Royce's shooting starliner, and never-seen-before cabin design with bodywork in a brand new colourway. The Goodwood-headquartered Rolls Royce brings convertible driving to the luxury motorist with the ultra-limited Luminary Edition of its Wraith coupe. Inspired by the sun in the golden hour, the Sunburst Grey paint finish is lined by rich copper tones. Catching the rays, look for the hand-painted Sunburst Motif coach line and hand-painted Wake Channel Lines on the Wraith’s bonnet. Pinstripes punctuate the car’s wheels, giving extra light to the luxury vehicle. Sourced from the Czech Republic, Rolls-Royce has tapped Tudor Oak wood for the interior panels, illuminated for the first-time with the Wraith. While driving along the open highway, a constellation of 176 LED lights shine bright like a desert night sky. Taking 20 hours to create, the Luminary is a hand-woven galaxy of 1,340 fibre optic star-lights, punctuated by eight of the shooting kind. The cockpit is laced with the carmaker’s in-house Saddlery Tan, and the rear seats are effectively contrasted in leather Anthracite. Pops of piping and stitching provide points of interest throughout. The transmission tunnel and door panels come done in a hand-woven stainless steel fabric, cut into sleek strands before combining, in a process that takes three days to produce. Texture is everything. Under the hood, the engine is ferocious. A roaring 624-horsepower V-12 engine offers limitless luxury with exceptional exclusivity. In other words, it’s Rolls-Royce, but for an elite few really.